What's more, a number of recent discoveries also strongly suggest that alien life exists, either in our own solar system or beyond. The ultimate question is no longer "Is there life beyond Earth?" but rather "Will we ever find it?" Earlier this year, a team of scientists estimated that about 4.5 billion years ago at least one-fifth of Mars was covered in an ocean more than 450 feet deep. 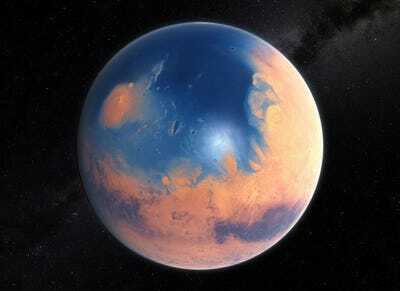 Any signs of life that swam in these waters could therefore be hidden in the Martian soil. But water isn't enough. You also need time. As it happens, a study last August discovered that water had existed on Mars for 200 million years longer than previously thought. What's more, there was life on Earth the same time as some of the last lakes on Mars. Asteroids and comets are key to the formation of life on Earth, scientists think. 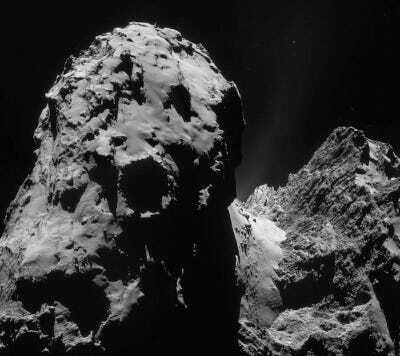 In particular, comet impacts, according to a report last August, likely caused amino acids to combine and form the building blocks of life. From what we know about solar system formation, there are other comets in other planetary systems that could be doing the same thing right now. Read more about the report from last August here. 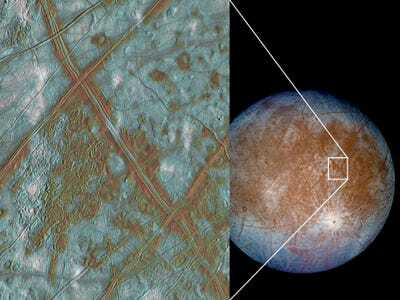 Jupiter's tiny moon Europa is scarred with brown veins that are suspected to show where warmer, dirtier liquid water in the moon's mantle seeped through its crust. Europa could harbor more water than Earth, which is why both America and Europe are investing hundreds of millions of dollars into designs for future missions that would search for life beneath its surface. Read more about America and Europe's investments here. Beyond Europa is Saturn's moon Enceladus, which scientists confirmed this month houses a giant, global ocean beneath its icy outer shell. Like Europa, Enceladus' ocean is an ideal place where life beyond Earth could live. 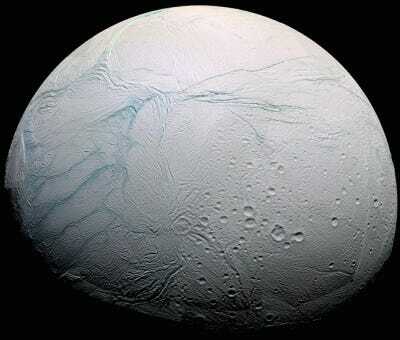 Learn more about how scientists confirmed Enceladus's subsurface ocean here. 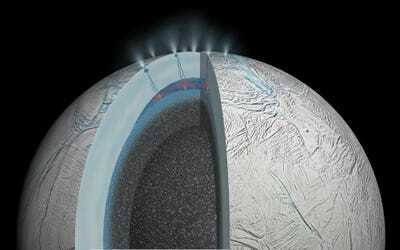 Even more convincing evidence for life on Enceladus was included in 2 papers published earlier this year. They strongly suggest that hydrothermal vents — the same kind that may have spawned life on Earth — seem to be lining the moon's ocean floors. Read more about this momentous discovery here. 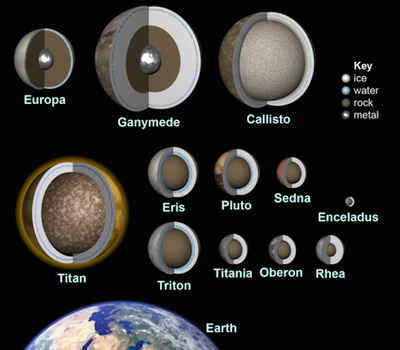 In addition to on Europa and Enceladus, vast subsurface oceans could exist on at least a dozen objects in our solar system, planetary scientists suspect. The problem with detecting life on any of these is reaching the watery mantle that exists hundreds of miles underground. 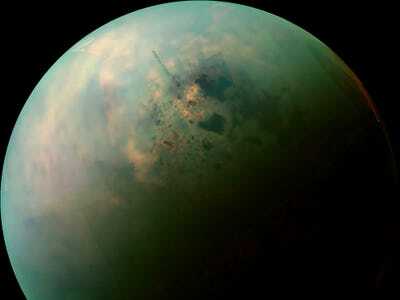 Besides Earth, Saturn's largest moon Titan is the only body in the solar system with lakes on its surface. These lakes would not spawn similar life to Earth because they are made of liquid methane, not water. However, earlier this year a group at Cornell showed how methane-based, oxygen-free living cells could exist on Titan. 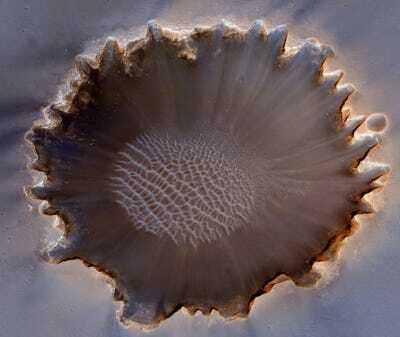 Read more about the possibility of methane-based life here. It's possible that life can only form and thrive on Earth-like planets, which would mean our only chance of detecting aliens is on planets beyond our solar system. 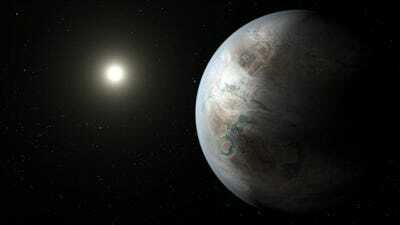 Last July, scientists detected the most Earth-like planet 1,400 light years away. Its size, orbit, sun, and age provide the "opportunity for life to arise somewhere on the surface ... should all the necessary ingredients and conditions for life on this planet [exist]," one scientist said. Read more about the detection of "Earth 2.0" here. Check out more about the Drake Equation here. If there are millions of intelligent alien civilizations out there, many ask, then why haven't we heard from them? It could be that our home galaxy, the Milky Way, is not an entirely hospitable galaxy for life, according to a scientific report last month that suggests other galaxies in the universe could host 10,000x more habitable planets than the Milky Way. 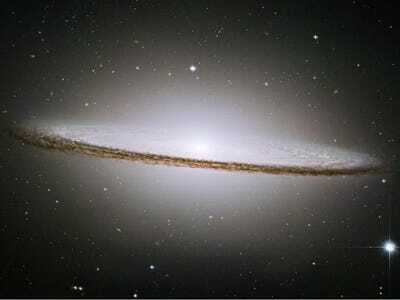 Read more about the most habitable galaxies in the universe here. 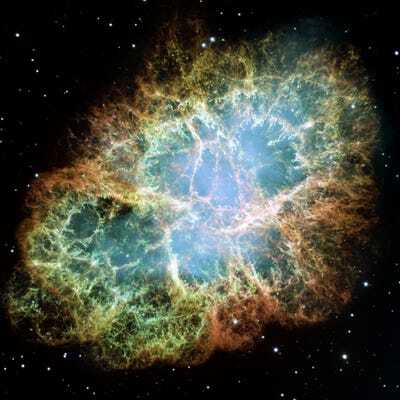 We're all made of heavy atoms forged in the explosions of supermassive stars. This not only connects us to the universe, but highlights the possibility of alien life, explains famed astrophysicist and director of the Hayden Planetarium, Neil deGrasse Tyson: "These ingredients become part of gas clouds that condense, collapse, form the next generation of solar systems — stars with orbiting planets. And those planets now have the ingredients for life itself." Learn more about what Neil deGrasse Tyson has to say on this point here.